Immanuel or Emmanuel? Which is correct? After serving the citizens of Wagoner for more than 9 years, the Food Pantry Ministry has ceased operations, effective today. Dee Berryhill, the first Food Pantry Ministry Director, builds shelves in our first store-room in 2009. The Pantry has a long list of faithful volunteers who have worked selfishly to distribute food to the poor. We have seen many, over the years, come to saving faith in Jesus Christ because they were told the Good News while getting food for their family. It didn’t take long to grow out of space again. And, of course, we have had our trials, difficulties and challenges. But God has always been faithful. Volunteers Mary Matthews, Nancy English, and Wanda Nickel up to something in 2009. The Youth had a canned food drive to support the Food Pantry Ministry in 2010. (L-R) Travis Brown, Matthew Boyd, Audrey (Boyne) Ellis, Tony Boyd, ?, Jacob Mathews, Lori Boyd, ? & Emily Boyne (in pink). We have been told of many wonderful stories from those whom we have helped over the years. A busy Food Pantry day early on in 2012. We have seen God heal many that we prayed for along with many other answered prayers, such as, homes, cars, and jobs. Everyone who had ever volunteered at the Five Year Celebration. One of the very last people we served today trusted Jesus for salvation! The volunteers have enjoyed the fellowship of serving alongside others and have enjoyed serving the Lord by serving the people of Wagoner. Nancy English, Wanda Nickel, Linda & Charlie Cameron in 2011. The folks whom we served have always been very appreciative of the food that was given. At the very least, every person who came for food, left with the offer of prayer and an invite to attend church with us. 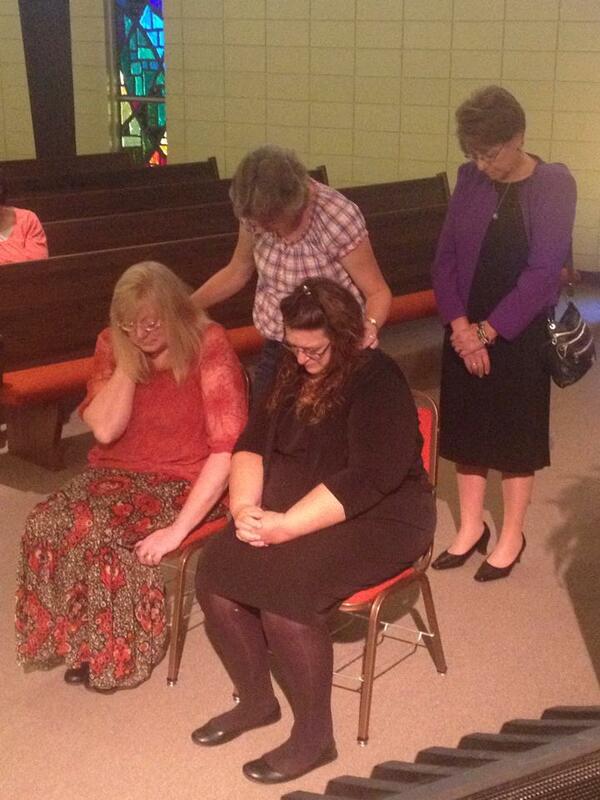 Only a few times in the past 9 years, has anyone refused to be prayed with/for. On the anniversary of the 9th Year of Service: (at the table) Benny Berend, Linda Cameron, Judi Joy. (Standing L-R) Rufina & Michael Fountain, Zona Tillman, Janet Colbert, Martha Whipple, Sherry, Rohana Weiesnbach, Sandy Laviness, Rick Boyne, Carol Weiesnbach, Jennifer Briggs, Jack Whipple, Tonya, Susie. A great big “THANK YOU!” to all those who have served over the past 9 years! May God bless you for your faithful service! Immanuel Southern Baptist Church will host the 6th Annual Community Fall Harvest Festival October 31, 2017, from 5:30 pm to 8:30 pm in the church parking lot. Children 5th grade and younger (with their families) are invited to enjoy games, inflatables, hot dogs, pop corn, candy, prizes and more! Bobbi Hess has agreed to lead the Cookie Ministry of Immanuel Southern Baptist Church. The Cookie Ministry provides a bag of cookies (and sometimes candy) along with a salvation tract. Over the past few years, several inmates have written to the church expressing their gratefulness at being remembered and to indicate they have put their faith in Jesus Christ for salvation. Zona Tillman was elected by acclamation to lead ISBC’s Cookie Ministry Team at the regular July monthly business meeting last night. Zona has a passion for evangelism and will be a breath of fresh air to this important ministry. Ladies of the church prepare cookies in sacks that contain Gospel tracts and distribute them at the Wagoner County Jail once a month. Inmates have written to indicate that they have been saved because of this ministry. 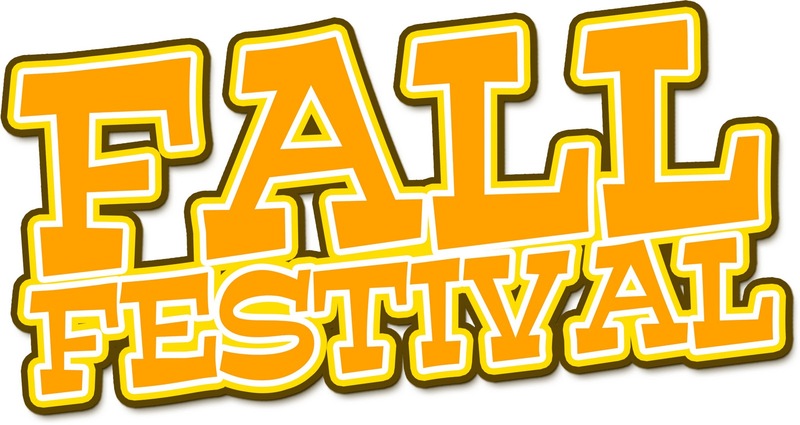 Immanuel Southern Baptist Church will host the 3rd Annual Community Fall Harvest Festival October 31, 2014, from 6 pm to 9 pm in the church parking lot. Children 5th grade and younger (with their families) are invited to enjoy games, hot dogs, snow cones, pop corn, candy, prizes and more! 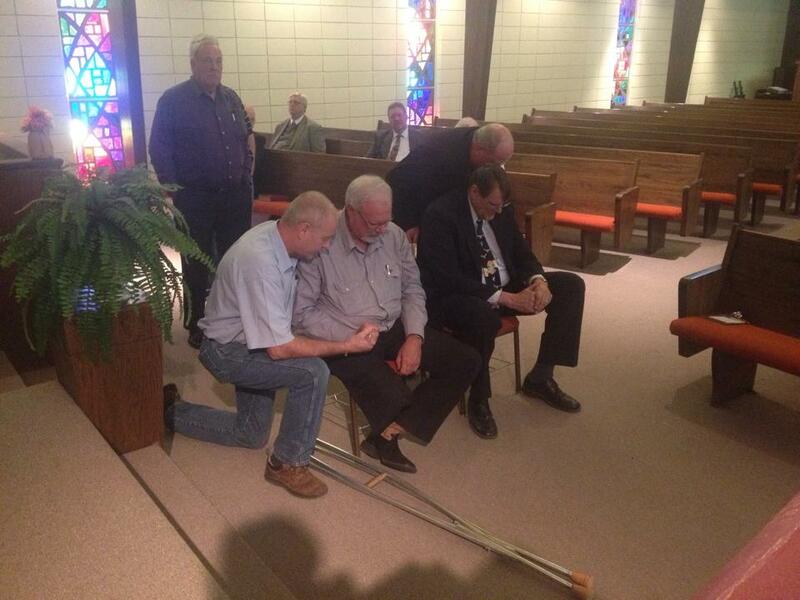 Dean Haley and John Couch were both ordained as Ministers of the Gospel in a special service, Sunday, October 5, 2014 at Immanuel Southern Baptist Church. They were both presented with Certificates of Ordination and new Bibles. 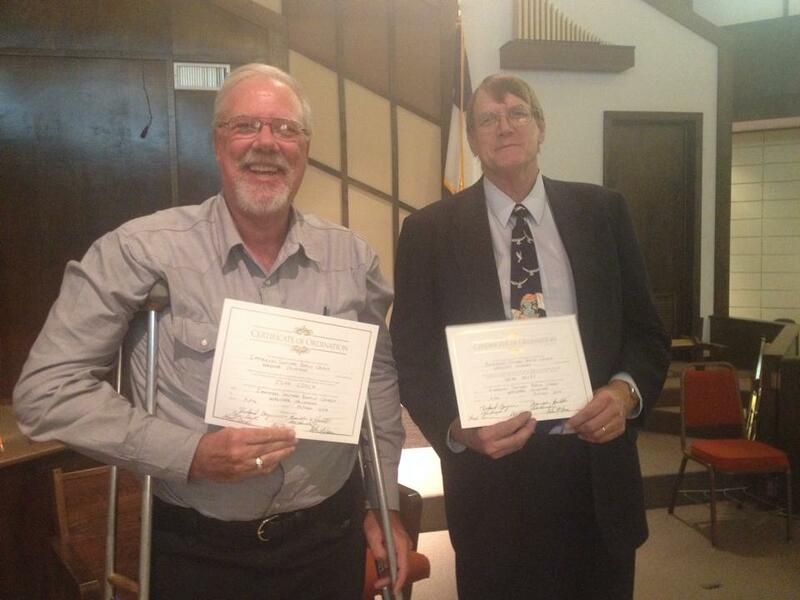 Immanuel Southern Baptist Church will ordain John Couch and Dean Haley to the Gospel Ministry on Sunday, October 5, 2014, at 3 pm. Ordained men may participate in the questioning at 2 pm. Come for Sunday School at 9:45, Worship at 10:50 and stay for lunch! The very best way to help is to pray! Pray for the ongoing rescue effort. Pray for the families who lost loved ones. Pray for the first responders and volunteers. Pray for God to be glorified in this tragedy. Many of us feel a need to help in some tangible way. You are discouraged from self-deploying, or simply going down to help out. Quite frankly, you’ll most like just be in the way and become part of the problem. In lieu of going, you can give. Everyone knows that the Red Cross provides meals to those in need during disasters. But did you know that the Southern Baptist Disaster Relief (OK DR) is the organization that PREPARES a majority (if not all) of those meals? OK DR is a volunteer based organization, but without the high priced CEOs that some of the relief organizations have been criticized for. The Baptist General Convention of Oklahoma pays the modest salary of the director of OK DR, which is provided by Oklahoma Baptists. Here in Wagoner, if you’d like to give goods, First Baptist Church is collecting items to give to victims. They are currently asking for bottled water, diapers, baby formula and baby wipes, and toiletries. Do not bring clothes! Rather than duplicate the efforts of collecting and distributing, we will be cooperating with FBC Wagoner. They are located at 401 NE 2nd, Wagoner, OK 74467. Their phone is 918-485-2428. If you’d like to go and physically do “hands-on” ministry, you are probably out of luck for this disaster. Most disaster relief agencies, including OK DR, require training. What you can do, however, is sign up with a disaster relief agency and be ready the next time a disaster strikes. Unfortunately, you probably won’t have to wait very long. ISBC will host a community Fall Festival, Wednesday, October 31, as a safe alternative to Trick-or-Treating. Children up through 6th grade are welcome. Activities will include games and an old fashioned cake walk. Admission is one can of food per person to benefit the Food Pantry Ministry. 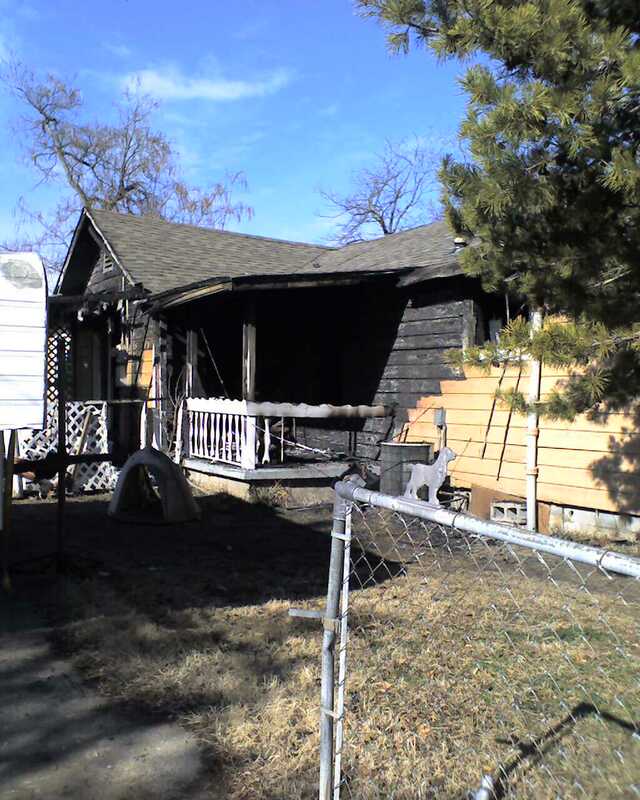 Early morning, January 13, 2012, two Wagoner families lost everything in a house fire. There are four adults and three children involved. No one was injured, but they lost two out of three pets. 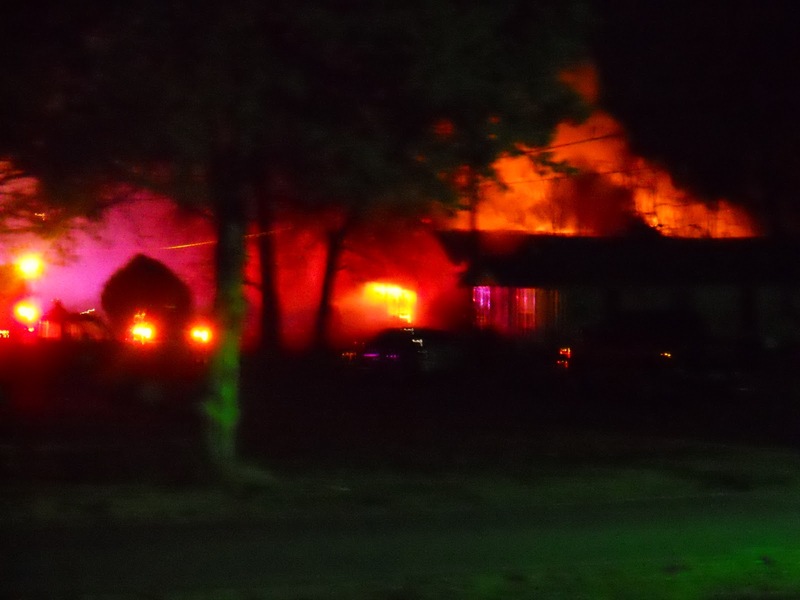 The Red Cross has already provided immediate shelter needs and vouchers for meals. They will be staying a hotel through Monday. They have NO WHERE to store anything at the moment. If people want to help, they can begin gathering things. 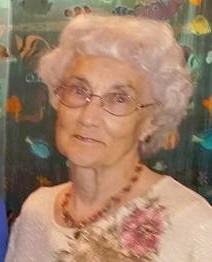 The contact for the family is Family #1’s grandmother, Doris Rankin, phone 918-201-4042.